Big bodied bucks carrying large antlers are an Alberta trademark. 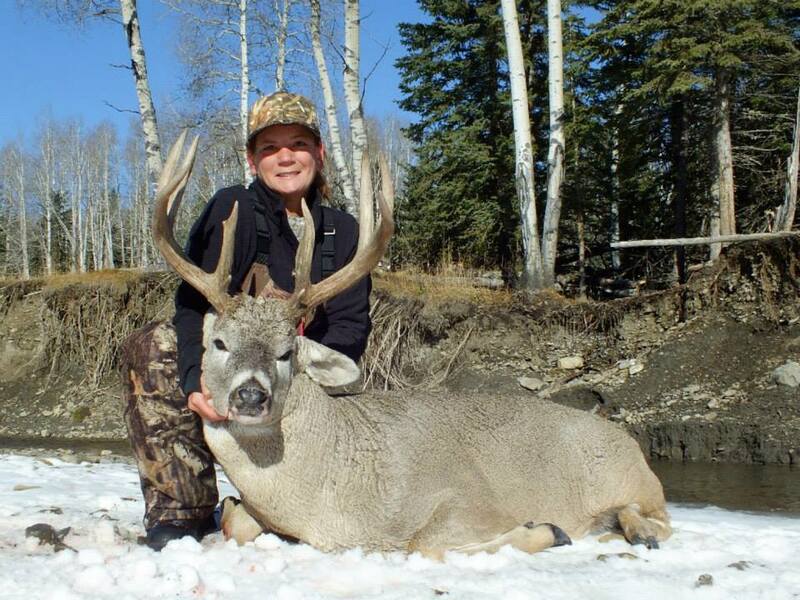 Alberta’s reputation for big whitetails is well known, and the mule deer hunting in Alberta is also second to none. 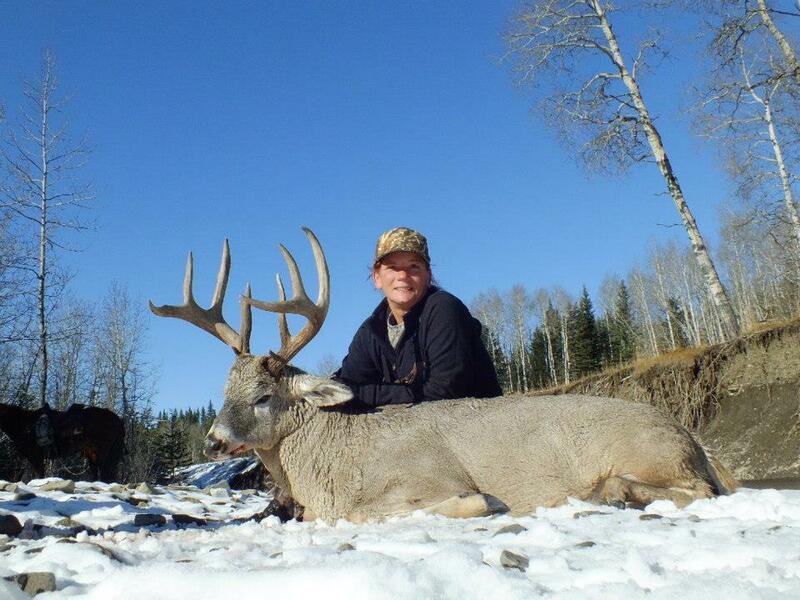 High racks with great mass define Alberta’s big bucks, for both species. Many of our clients will see more true trophy class deer on one hunt with us than they have seen on all their previous hunting trips elsewhere, combined. We urge you to come see for yourself what Alberta, Canada has to offer. Big bucks of both species are possible and clients are able to take advantage of the opportunity on a combination whitetail deer and mule deer hunt. Whitetail bucks increase their activity as they enter the initial stages of the rut, making scrapes, rubs, etc. during the last week of October. We then can start hunting whitetail deer and mule deer together on our popular six-day combination hunt.